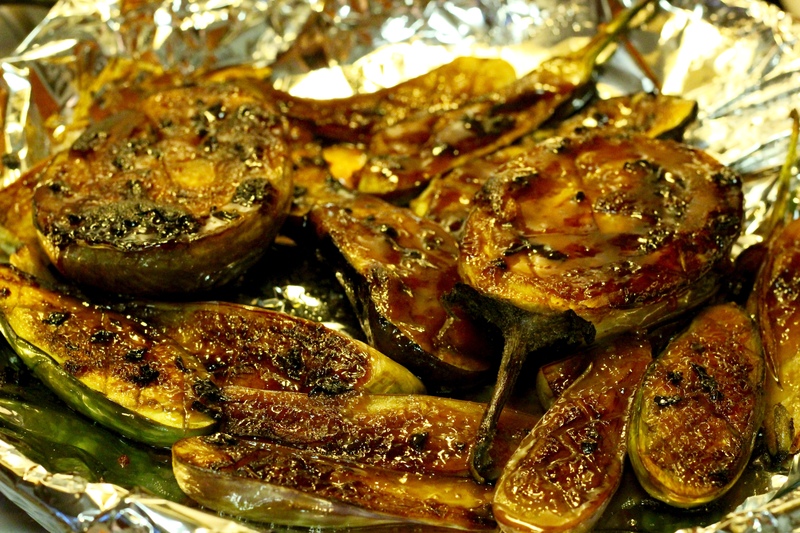 Often when I think of eggplant, I go to Italian or mediterranean dishes, how about a unique Japanese dish. You will find this recipe easy to follow, and for little effort, you will produce a culinary master piece. Nasu Dengaku is most like a creme brûlée. 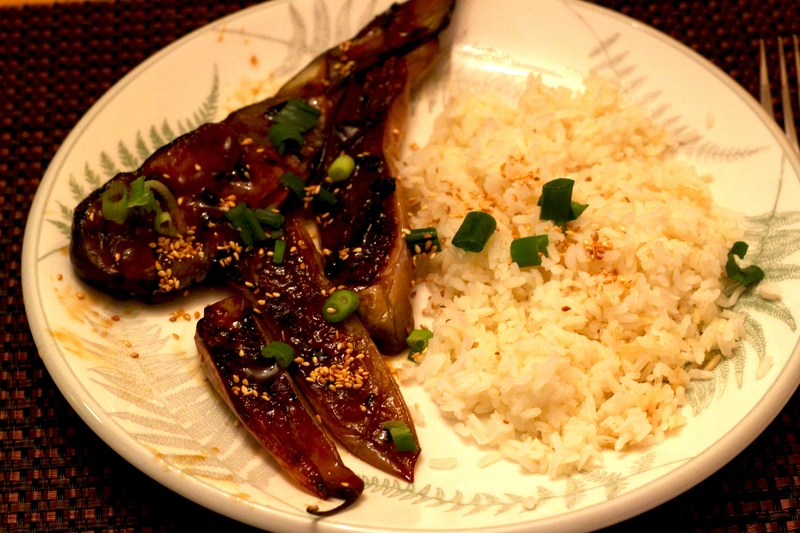 The eggplant becomes creamy and the Miso glaze gives it a savory caramelized top. Eggplant is in season, making the different varieties abundant, and easy to find. You can make this recipe using the larger varieties, but you have to add cooking time when cooking in the pan. The smaller varieties are easier to cook and achieve that creamy texture. Serve as a side with rice or as an appetizer at parties. Place the mirin and sake in a small saucepan and bring to a simmer over medium heat for 2 minutes. Add the miso and stir until smooth. Stir in the sugar, and reduce to low. 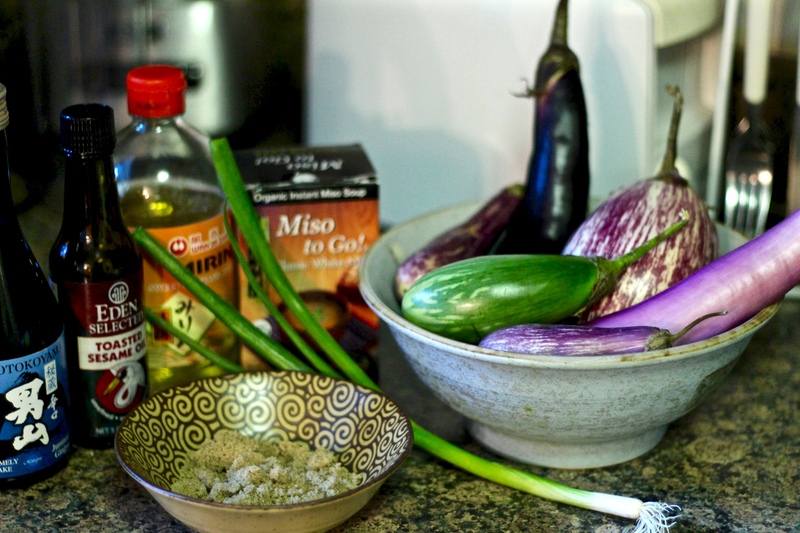 Continue to cook, stirring occasionally, while you cook the eggplant. 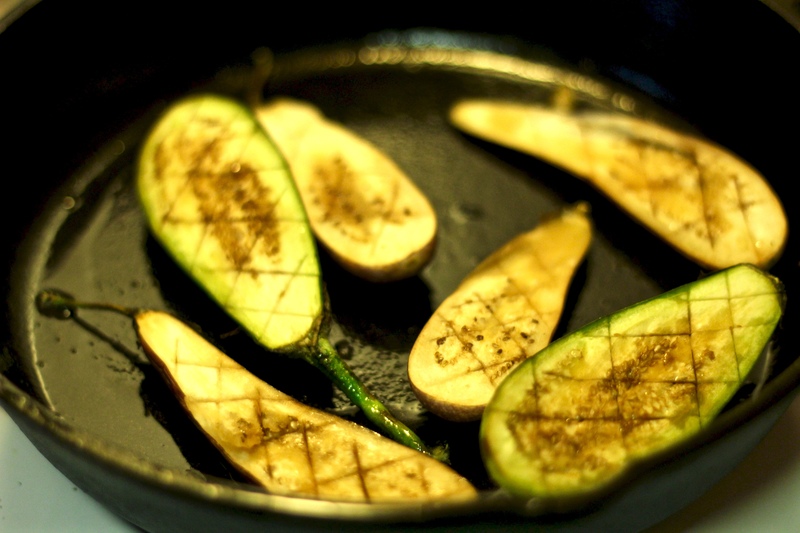 Slice eggplant in half and using a knife, score the inside in small squares. Brush the scored side with sesame oil. Pre-heat oven to broil. 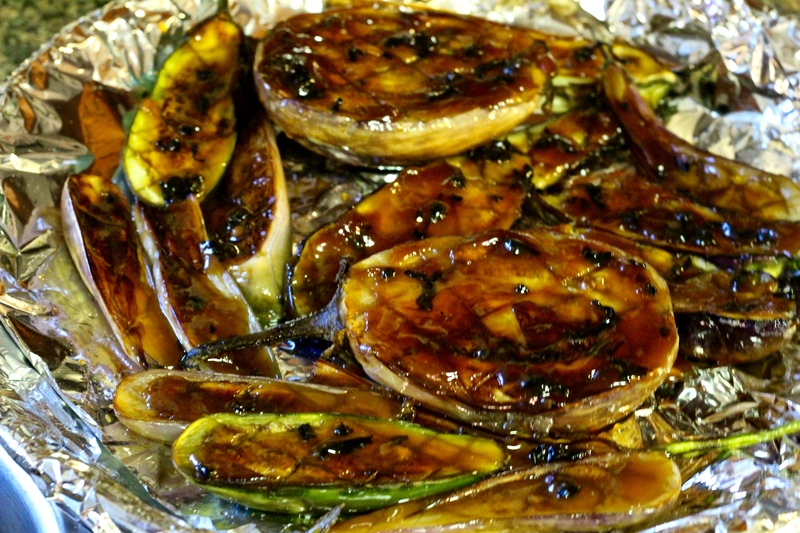 In a pan over high heat, add Canola oil and put the eggplant skin facing down. Put in the oven and broil for 4 minutes. The miso mix should be bubbling and starting to caramelized when you take it out of the oven. Remove from heat, rest for 5 minutes and enjoy with sesame seeds and green onions! 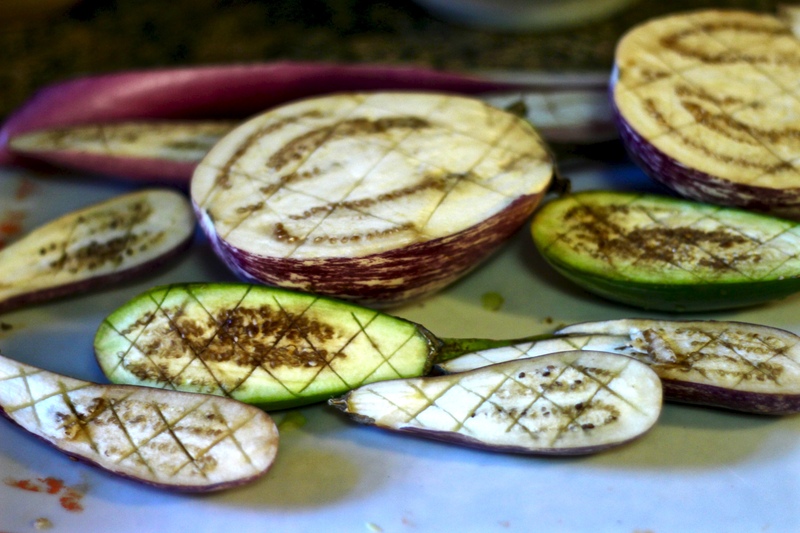 Tip: For bigger eggplants score the inside even deeper so it will cook through more evenly. A while back I set a challenge for us not to waste food that is starting to go bad. These past weeks the fresh herbs of spring have inspired many of the dishes you have seen here. Although I always use organic produce, which lasts longer, the herbs were piling up and starting to wilt. 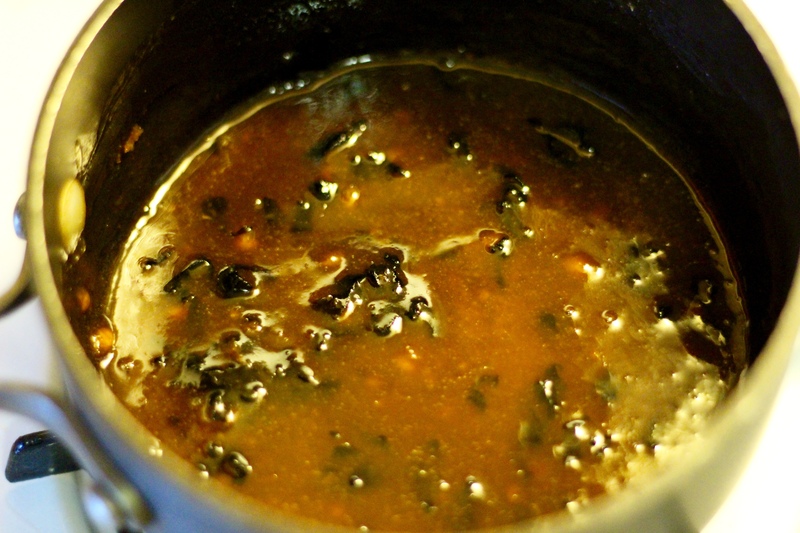 Pistou is a provençal cold sauce normally made with basil. I broke from tradition using the herbs I had on hand and did not use garlic. By not adding the garlic it makes the pistou more versatile to use on savory dishes like this one without over powering them. 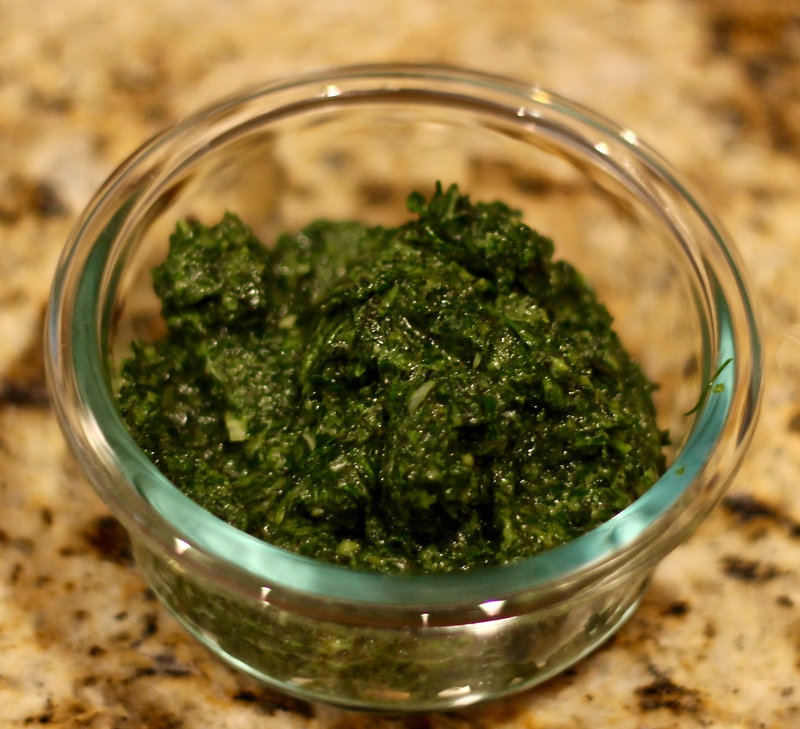 The sauce is a great way to extend the life of your herbs and can be a great topping to any dish. In my cupboard I also like to keep nuts such as cashews, pignolis, and almonds to add to dishes. Often they can start to get stale and I need to use them up quickly. I remembered this vegan sour cream recipe I found once for friend to substitute in a vegetarian biryani dish. 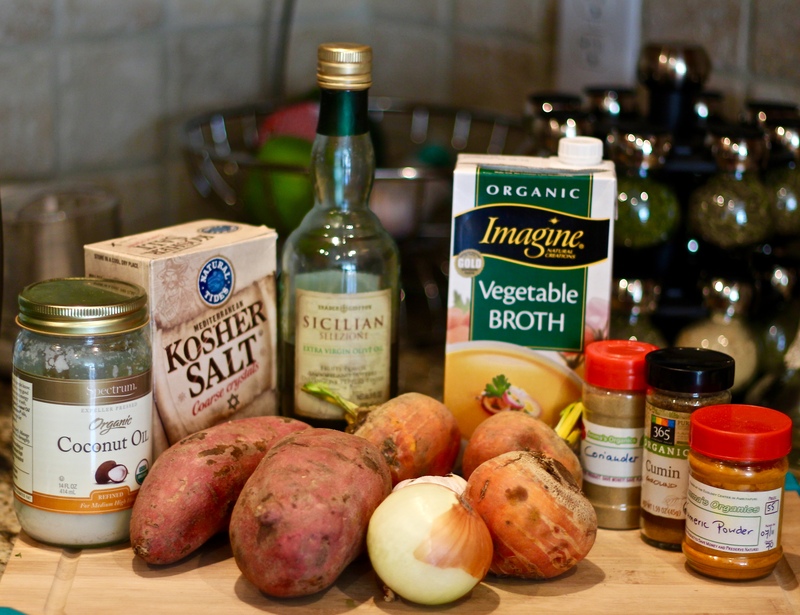 The substitute was so good I kept making it to use in everything from salad dressing or as a topping. This is seriously the most delicious vegan sour cream I have ever come across and does the trick in replacing sour cream. Tip: The cashew nuts and apple cider vinegar are what make this taste so wonderful. You can use other nuts but make sure at least half of the nuts are cashews. Tip: If you use more herbs than the measurements above be sure to add more olive oil. For every half cup of herbs you go over add in 1 tablespoon of olive oil. Be sure to add salt to taste. Preheat oven to 450°F, and line a baking sheet with parchment paper. Drizzle lined baking sheet with olive oil and sprinkle with salt. Cut potatoes in half, length wise. Coat potatoes all sides with olive oil and salt, and place cut side down on lined baking sheet. Sprinkle potatoes with turmeric and additional salt. Bake at 450°F for 30 minutes until done. Check with fork for doneness. Place beets, onion and garlic on a large piece of foil on a baking sheet. Drizzle with coconut oil and season with cumin, coriander salt and pepper. Fold foil around beets and crimp ends to form a packet. 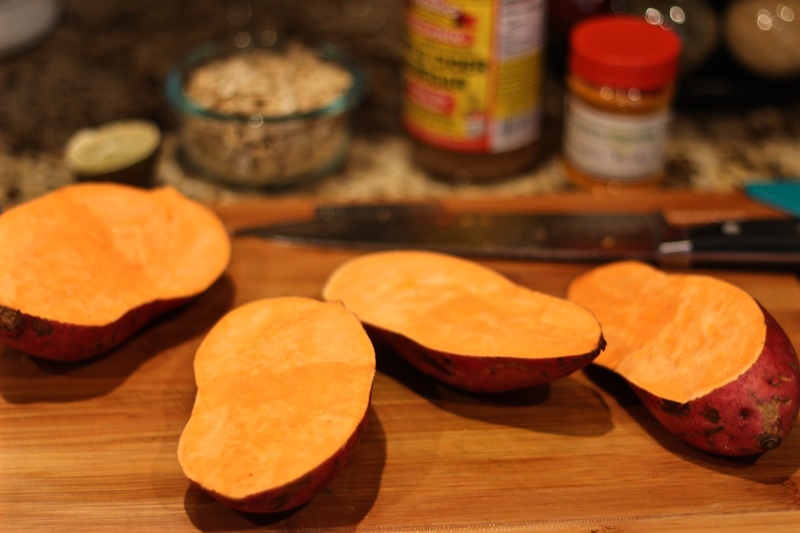 Roast until beets are tender when pierced with a fork, 25 to 30 minutes. 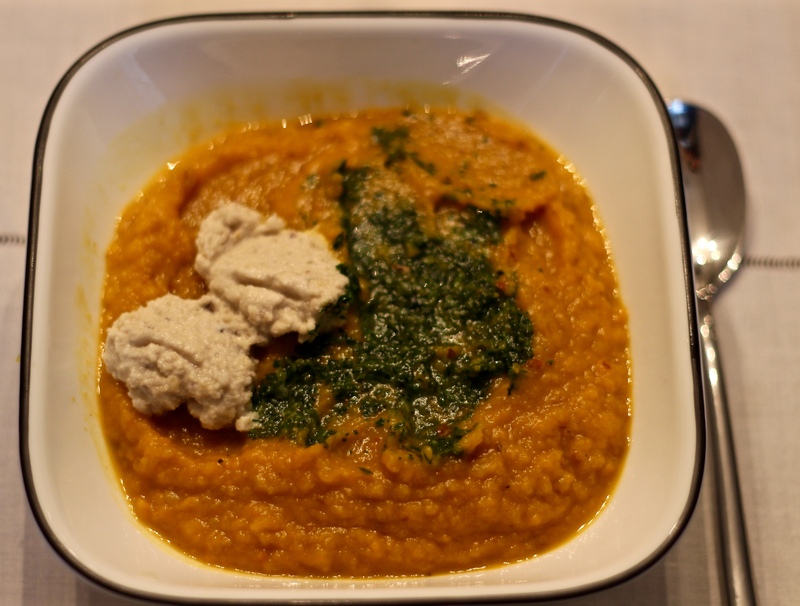 In a food processor add herbs in batches and pulse until finely chopped. With motor running add olive oil in a stream, then water and salt, blending until incorporated. 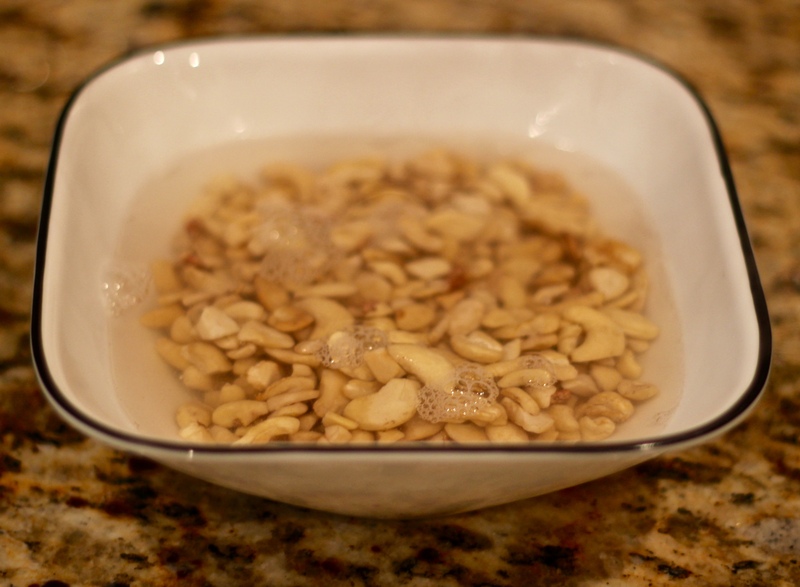 Place cashews in a cup or small bowl, and cover by a 1/2 inch with boiling water. Let soak for 30 minutes. Drain cashews and place in a blender with vinegar, lemon, salt and about a 1/4 cup of water. Blend until very smooth, adding more water as required to puree the mixture.